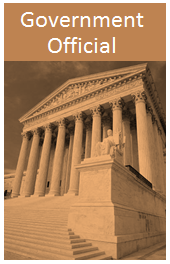 In January 2015 PHMSA and FEMA released a new hazard mitigation guidance document prepared by the PIPA Communication Team. 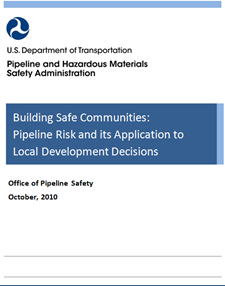 “Hazard Mitigation Planning: Practices for Land Use Planning and Development near Pipelines” outlines best practices for communities to reduce risks from pipeline incidents, including those caused by natural hazards. 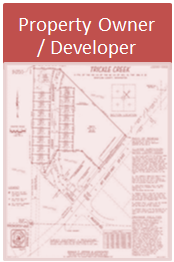 Developing or building near a transmission pipeline? 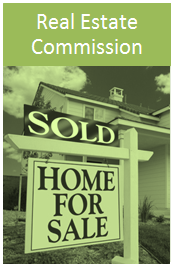 The decisions you make can impact the safety of the community surrounding the pipeline. Have you consulted with the pipeline operator? 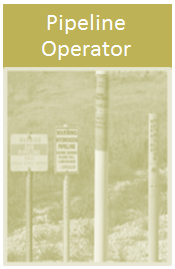 Have you considered access for pipeline maintenance and emergency response? Is enhanced fire protection needed? How will excavation damage to the pipeline be prevented? 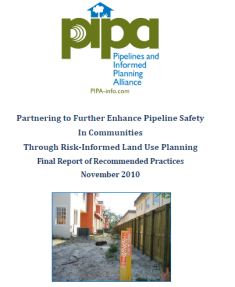 The Pipelines and Informed Planning Alliance (PIPA) has developed recommended practices to help in making decisions about what, where and how to build safely near transmission pipelines. Select your toolbox below to learn more.